Her mother née Barbara Argoutinsky-Dolgoroukov was born on the vast family estate near Odessa. Her father, Prince Alexander Argountinsky-Dolgoroukov, a retired general, raised his children according to Tolstoy’s precepts, refusing the role of courtier in order to create social reforms on his property. Despite the numerous servants on the estate, his children made their own beds and tidied their rooms. He employed one of Tolstoy’s disciples as tutor for his son David. Barbara was an excellent musician, pupil of a pupil of Beethoven. At the age of eighteen, she married her first husband, Baron von Erlenvein, the son of the physician to King Ludwig of Bavaria. The newlyweds went to live in Bessarabia where her daughters Maniounia and Nina were born. During a pogrom, she hid Jewish families in their home and hung white curtains on the windows to signify that they were a Christian family. She divorced her husband after Nina died of meningitis. She went with Maniounia to live in Tiflis at her grandmother Ninotchka’s home, where she met and soon married Helene’s father, Christopher Avakoumovitch Wermiceff, born in Baku. A dynamic agronomist whose father had sold his oil fields to the Nobel brothers, Wermicheff became their manager in Russia. 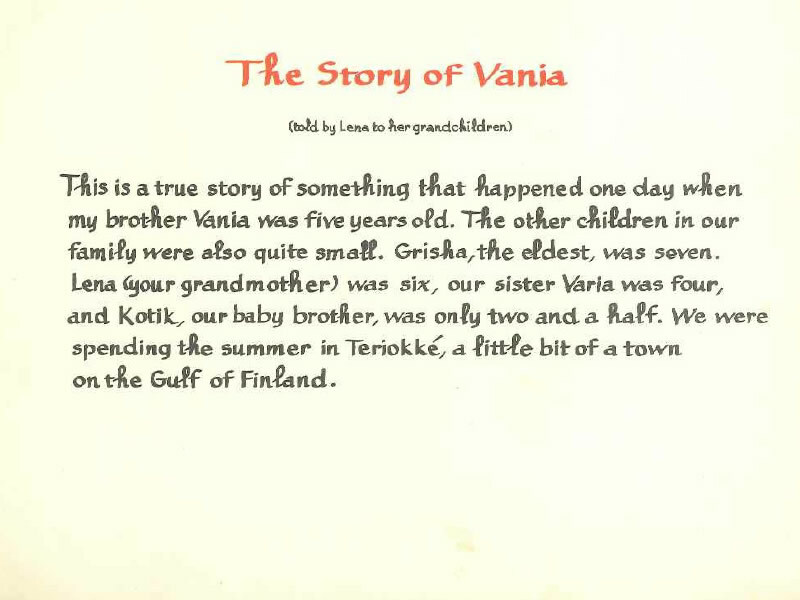 The Wermicheffs had five children: Grisha, Helene, Vanya, Barbara and Kotik. 1903 Family moves to St Petersburg where father, Christophor Avaloumovitch Wermicheff is manager for Nobel oil interests in the Caucasus. 1904 Family returns to Tiflis, but father does not live with the family. Beloved half-sister Mania (aka Maniounia) has married Sasha Moët. 1905-1907. Fearing disorders during the 1905 revolution, Wermicheff sent his family to Switzerand. Helene is the sad-looking little girl in the center of the photo taken at the railroad station in Vienna on their way to Switzerland. Helene later said she felt she had to look very serious. 1908 Tiflis. 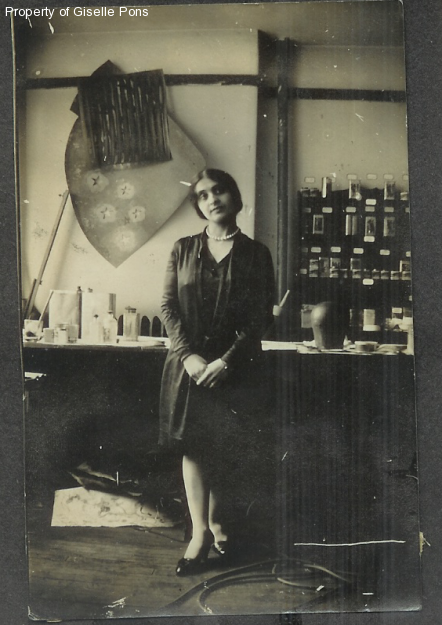 Barbara opened arts and crafts school where Helene was the star pupil. 1909 Typhus epidemic in Tiflis. Helene was relegated to a public quarantine. Her mother forbade the nurses to shave her head. 1912 Helene develops pleurisy and slight TB. Mother sends other children to Baku to live with their father and his two sisters. Father publishes most important newspaper in the Caucasus Baku. Mother sets off for Italy with Helene, but on the train encounters a doctor who tells her to take the sick child to a sanatorium in Leysin in Switzerland. 1913 Helene contracted TB. Mother accompanied her to a sanatorium in Leysin (Switzerland) where she spent three years, while her brothers and sister went to live with her father in Baku. She became engaged to terminally ill Pierre Boudé from Montauban in France, who left her a small legacy. 1917 Helene returned to Russia, in the full throes of the October Revolution. Her father met her at St Petersburg and told he could no longer support her: she must fare for herself. He had divorced Barbara, remarried and now had two children. He went back to Baku where he created the newspaper Kavkaz. During the Revolution he was imprisoned and the paper confiscated. She joined the family of her half sister, Maniounia, in Moscow. Because of the chaotic political situation, they decided to return to Tiflis by train. It was a seemingly endless journey because the trains were repeatedly requisitioned by either the Reds or the Whites. Exhausted passengers were forced off the trains and had to resort to sleeping with their heads on the rails to be sure not to miss incoming trains. When they reached Mykop in the north Caucasus, they decided to rent a house in the countryside to avoid the civil war, but unfortunately their house was precisely on the front lines, and to make things worse, brother Vanya was fighting with the Whites, while brother Kotik was on the Reds’ side. Helene was deeply devoted to Maniounia and to her nephew, Gary, but she had an ambivalent relationship with her Alsatian brother-in-law, Sacha Moët, who always used to tease her because her skin was so dark. In Mykop Maniounia continued to act and dress like the great aristocrat, even when they were hiding in the cellar from Red army incursions. She had apparently lost touch with the reality she could not cope with. In these dramatic circumstances, Sacha declared his love to Helene, who would never betray her sister, even though she might have been attracted to him. It was at this point that she fled to Europe. 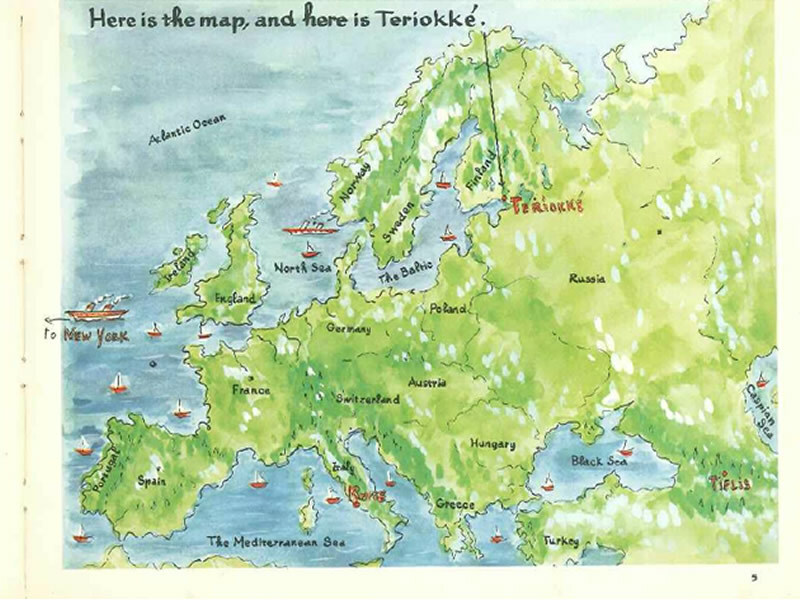 1918 Helene left Russia from Novorossisk on a ship bound for Istanbul. The other passengers looked down on her: at the time no well-bred young girl would ever travel alone – even during a revolution! She then embarked on a ship to Marseille, but as she did not have a small pox vaccination certificate, she risked being arrested by the Turkish authorities and ending up in a harem on the Island of Prinkipò. 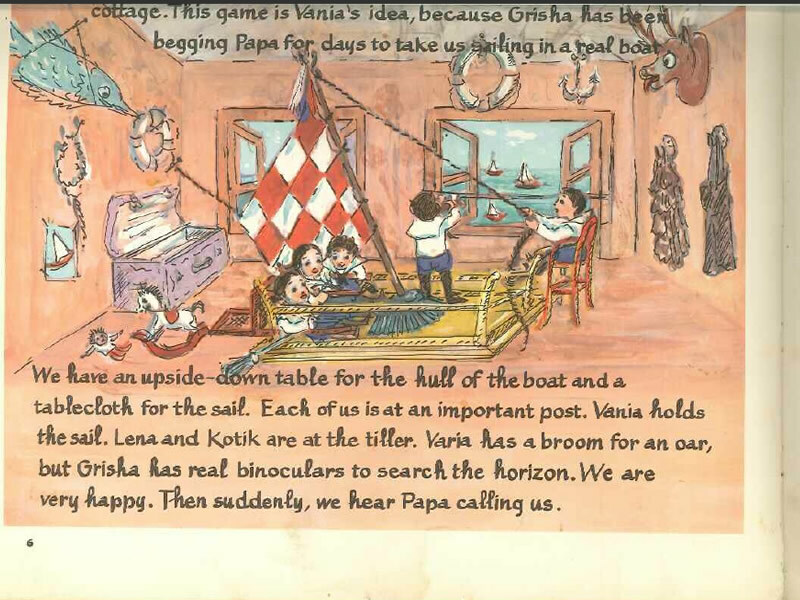 The Italian captain of the ship took pity of her plight and hid her during their inspection. 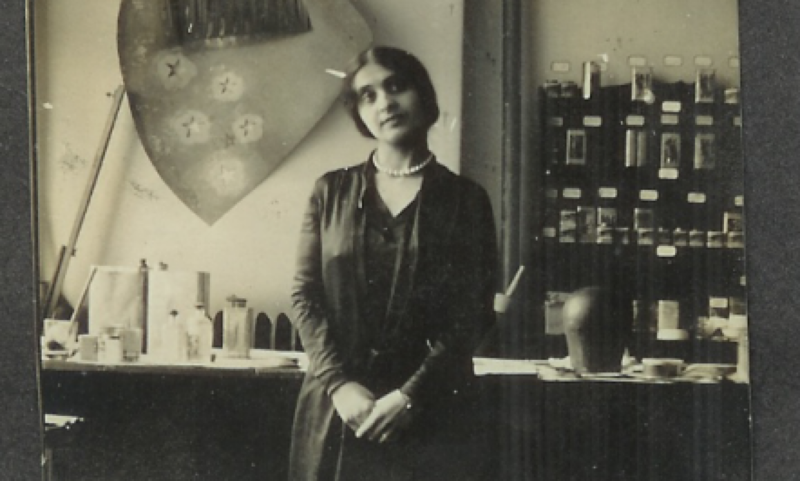 1920-1921 Helene arrived in Paris with very little money. She lodged in a squalid room above a factory and supported herself painting ceramics. 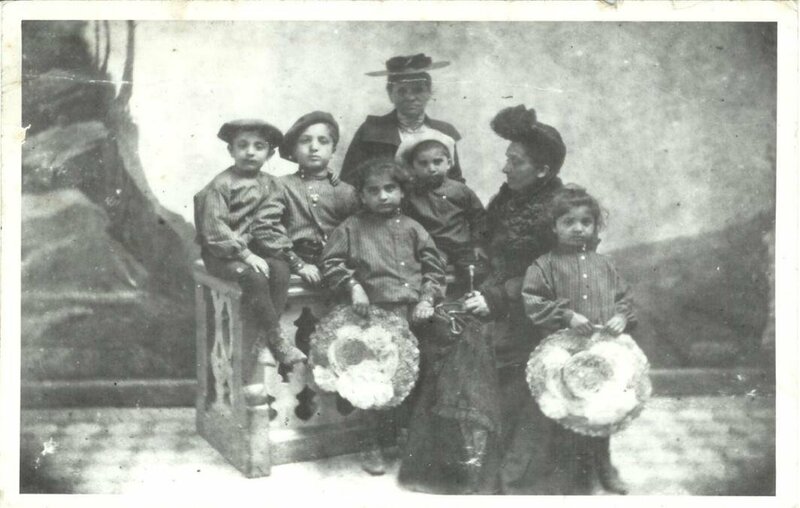 She desperately wanted to bring her mother, Barbara, to France and sent money to Tiflis, Instead, it was her younger sister Barbara who joined her. In the evenings the two sisters would go to Montparnasse where she met Modigliani and Diego Rivera. They were befriended by the ex-wife of film director Abel Gance, who offered to rent a room to the girls. 1921 Helene met George Pons, son of a French officer who taught fencing at the court of the czar. George had received his master in romance philology at the University of Moscow and was happily working at the Moscow Art Theatre under Konstantin Stanislavsky when, because of Stalin’s new xenophobic laws, he was suddenly ordered to leave the country within 24 hours. George passed the Finnish border at Terrioké (a curious coincidence: this was the setting for HP’s book The Story of Vanya) and came to Paris to work as technical director for Nikita Balieff’s Chauve Souris vaudeville company which was successfully performing at the Théatre Femina. At the end of summer George went on tour to England with the company leaving Helene in Paris. In London, after an uncertain début at the enormous Pavillion Theatre, the company moved to the more congenial Apollo where Balieff’s cordial give-and-take with the audience in broken English was more effective. The reviews were enthusiastic: “Altogether it was a rich and riotous evening – far funnier than could have been imagined, with many touches none the less of true and tender art.” George had great difficulty in obtaining an English entry permit for Helene because she bore an Armenian passport which England did not recognize. Thanks to the intervention of a friend who worked for the US State Department, Helene finally arrived in London where she married George and was immediately put to work by Balieff making dolls designed by Sergei Soudeikine for the Chauve Souris. 1922 January 31st : arrival in New York on. Lapland from Southampton with the Chauve Souris company. Their NY debut on February 5th is acclaimed by the enthusiastic critics who compliment impresarios Ray Comstock and Morris Gest for bringing the ‘Bat Theatre’ to America. True to its repertory tradition, the Chauve Souris closes after 65 performances at the 49th Street Theatre and moves to the more congenial Century Roof Theatre on 62nd Street and Central Park West. The theatre is completely redecorated in Russian style. A new even more successful program is presented on June 5th and runs through the summer until October. September 3rd entire company is taken on private train to Southampton L.I. for the benefit of the Rogers Memorial Library sponsored by members of the local high society. Every three months the company renews its program. 1923 After a last performance on May 5th, the Chauve Souris company sails for France on the Mauretania on May 8th for a working holiday playing again at the Théatre Fémina in Paris starting May 24th. Expat Americans flock to the show and implore Balieff to return to the US. George and Helene return to the United States with the company on the new French liner Paris on August 11th. The new Chauve Souris production opens at the Century Roof Theatre, completely restyled à la Russe on September 3rd . 1926-7 George leaves Chauve Souris and the Pons family begins to make costumes designed by Henry Dreyfuss for the stage shows at the Mark Strand theatre in their two-room apartment on the upper West Side..
HELENE PONS, née Hèlène Christoforovna Wermicheva, Broadway designer and costumer from 1926 to 1965. Helene Pons combined the soul of an artist with the hands and mind of a craftswoman. Born in Tiflis (Georgia) in 1898 (or 1897), she died in Rome, April 1990. 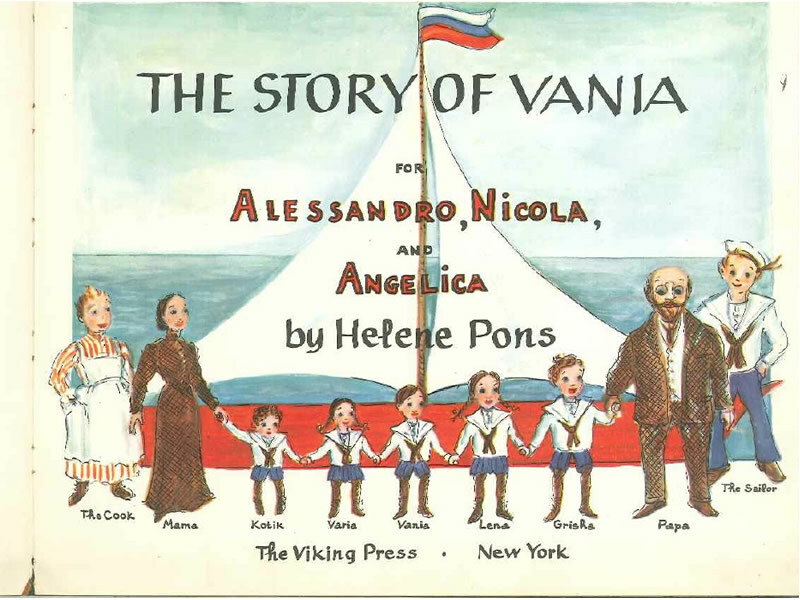 Helene Pons created costumes for the golden years of Broadway, she was author of “The story ov Vanya”, Vicking Press 1963. This biography is based on Helene Pons’s autobiographical notes, interviews and family stories. Costume designers are either painters or architects who, after being engaged by producers, study the play attentively to fully grasp the tenor of the mood, setting, characters; they also do research to get the costumes historically right. Once they have a clear idea of how the actors should be dressed, they make sketches and usually color them in water colors, affix the Scenic Designers’ Union seal on the sketches, sign them and, after obtaining the producer’s approval, hand them over to the costumer. The costumer is then expected to miraculously transform the vague two-dimensional sketch into reality: they have to find the appropriate material in the right color, cut it, sew it adapt it to the actor/actress’s physical conformation. The costume must also be sufficiently robust to withstand the wear and tear of performance while fulfilling all of the designer’s expectations. Costumers are considered ‘craftsmen’ while designers are ‘artists’, in theory, each at light-year distance from the other. Helene Pons was one of the rare persons to combine both the ‘artist’ with the ‘craftsman’ due to her training in arts and crafts. She had both the overview and imagination of the artist as well as the hands-on ability to transform vague two dimensional drawings into three-dimensional costumes that often went beyond the imagination of the designer. She considered costumes as sculptures and developed a technique of creating invisible foundations to disguise actors’ physical imperfections (small/oversize bust, narrow sloping shoulders, no hips) upon which she ‘sculpted’ the costumes, by draping material over the foundation. 1928 THE THEATRE GUILD. Designer Lee Simonson, member of the Guild, firmly believed that the vision of painters and designers could ‘revivify’ the theatre. George Pons’s experience in the Moscow Art Theatre and HP’s artistic background fit in perfectly with the Theatre Guild’s ambitious projects to create an art theatre on Broadway. 1928. Using a then-revolutionary process, the costumes for Macbeth are entirely made of cotton and dyed and painted in the dyeing plant George Pons installed in the studio. 1931 Helene Pons receives a patent for a brassiere design that incorporated an “open-ended wire loop” that laid flat against the chest, encircling the bottom and sides of each breast. 1933 MODERN DRESS. Producers often think that costuming a modern-dress play is a cinch and they balk at having to pay a designer from the Scenic Artists’ Union when they could easily (and more cheaply) send their wives off to Bergdorf Goodman of Saks Fifth Avenue to buy the clothes. In 1933 HP had been engaged by Robert Rockmore to design the costumes for Run Little Chillun. Rockmore insisted that his wife, theremin player Clara Rockmore, accompany her to shop for costumes. HP was furious, as was also Clara Rockmore, who had other things to do. The two women set off, having decided to detest each other, but once they discovered their Russian origin, they immediately became intimate friends and HP eventually designed extraordinary flame-colored jersey gowns for her concerts at the Lewisson Stadium that were praised even by the music critics. 1936. HP designs Babes in Arms using pastel colors for men’s clothes for the first time on Broadway. HP comes into contact with fellow Georgian, George Balanchine. 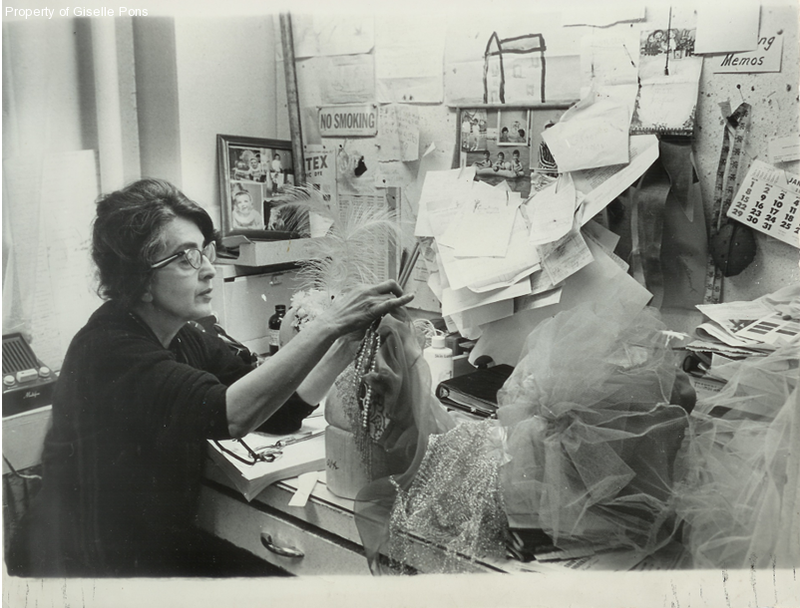 She will make the costumes for many of his ballets. She creates the ‘rehearsal skirt’ to accustom dancers to the costumes they will wear during performances. She perfects the art of making tutus. 1937. The Eternal Road – oratorio-opera presented by Meyer Weisgal with music by Kurt Weill, book by Franz Werfel. Costumes designed by Norman Bel Geddes were made of unbleached muslin dyed in the studio. 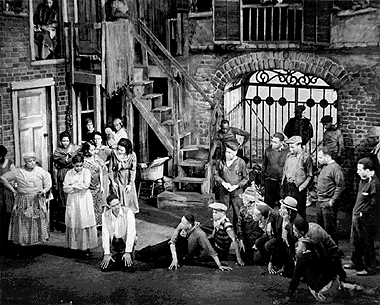 There was permanent chaos in the production of this megashow for lack of funds and logistic difficulties with the Manhattan Opera House: during the drilling to enlarge the orchestra pit, an underground stream surfaced flooding the theatre. All rehearsals were stopped until the money was found to solve the problem. The 250 members of the chorus were mostly refugees just arrived from Nazi Europe who did not speak English. Problems ensued with chorus who did not know how to wear the biblical costumes: girls would appear with blue ribbons in their hair, the men wore trousers under their tunics which showed when they were going up and down the stairs on stage. Costumes for Egyptian slaves were devised for men, but at the last moment Reinhardt decided they were to be women instead. Unfortunately there were no tops to the costumes and the girls appeared in their pink bras! HP insisted on having a dress parade in order to ‘train’ the cast to wear the costumes correctly. 1938. Our Town. Jed Harris commissioned HP to design the costumes for Thornton WilderÃ¢â‚¬â„¢s masterpiece set between 1901 and 1913 in a New England town. She devised costumes as she remembered her family for the timeless atmosphere of the play. 1941. THE “APRON SAGA” Helene made the costumes, designed by Aline Bernstein, for Harriet. She created some delightful aprons for the leading ladies, and one day Laura Newton, buyer for Bloomingdales came to the studio to ask her to reproduce those aprons for the department store. “How many do you want” she asked. “About one hundred dozen” replied Laura. 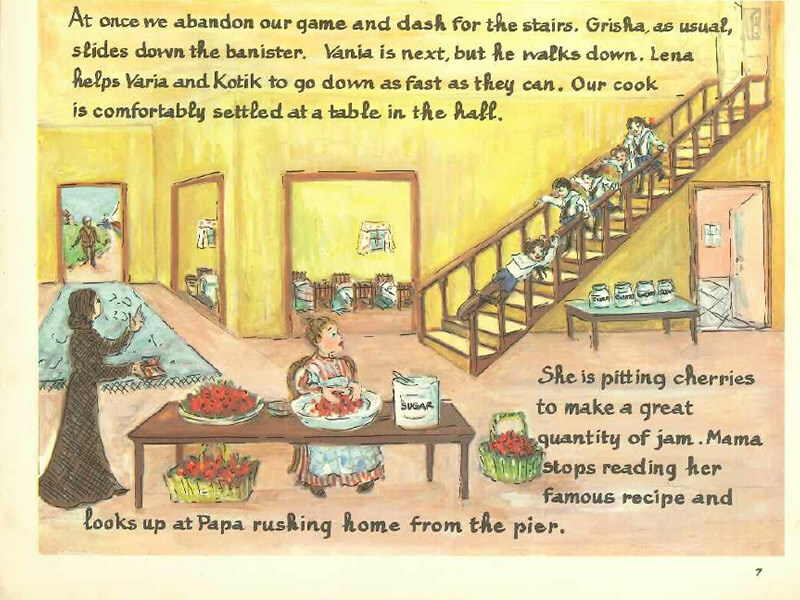 As World War II had just broken out, life had changed dramatically: housewives were now fending on their own without maids or cooks who had gone to work in munitions plants. Traditionally aprons were banal, squalid. HP’s creations, instead, were elegant, extremely fashionable. As it was difficult to find fabrics due to the War Effort, she used upholstery material instead. Soon buyers from all over the country were flocking to the studio to order her aprons. Lord & Taylor in New York featured them in its Fifth Avenue windows. The apron “saga” caused an uproar in the studio. Her secretary quit, her husband insisted she was insane to even contemplate being a manufacturer, her workers, accustomed to making unique costumes for the theatre, felt humiliated and bored at the idea of mass production. There were also problems with the Union. She finally accepted the offer from City of Paris in San Francisco to open a branch in San Matteo where she could create clothes for the Helene Pons Department in that department store. Theatrical business had slowed down because of the war and it seemed a good idea to leave George to run the studio in New York and to start a new business in California. 1947. Back in New York, HP makes costumes designed by Aline Bernstein for The Eagle Has Two Heads with Tallulah Bankhead, followed by Crime and Punishment with John Geilgud and Medea with Judith Anderson. 1949. Kiss Me Kate. Lack of funds was a blessing in disguise: Renaissance costumes were made of simple dyed cotton. No velvet, no gold braiding. No spangles. Only extraordinary combination of colors. 1950. THE METROPOLITAN OPERA. 1950. When Rudolf Bing became director of the Metropolitan Opera, he brought about great changes. The first “new” opera was Aida with costumes designed by Rolf Gerard. Mario Del Monaco was making his American debut. The new production of Aida was superb. 1955. Diary of Anna Frank. To give the impression that Anna was outgrowing her clothes, a set of identical costumes were made smaller and smaller for the different acts to illustrate the passing of time. 1956. My Fair Lady. After Cecil Beaton handed HP the beautiful sketches of the costumes with no hint of details, he left for Japan and retuned just in time for the dress parade. Fortunately he liked the costumes.